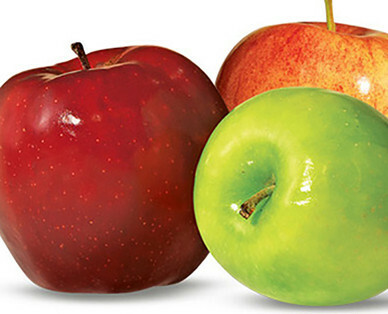 According to the U.S. Food and Drug Administration, apples are free of fats, sodium and cholesterol. They’re also an excellent source of fiber. Apples contain phytochemicals, which help to fight breast, colon and pancreatic cancer. Research shows that eating apples can help improve a person’s memory and help protect their brain against Alzheimer’s disease. Recent studies have shown that eating apples can help lower blood pressure and slim waistlines. Ripe, full color apples are great for eating. Older apples that are past ripe and a bit mushy work well for baking. Pick apples that are firm, shiny and smooth with intact stems. They should smell fresh and not musty.